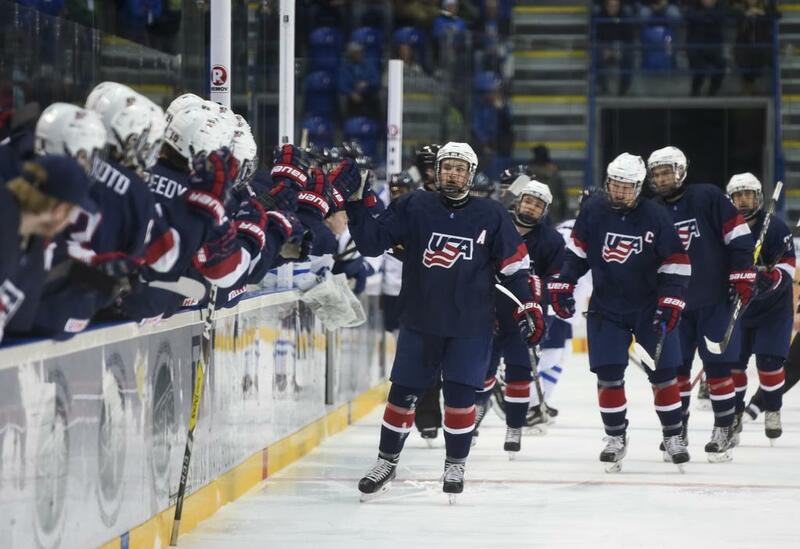 CHELYABINSK, Russia – The U.S. Under-18 Men’s National Team’s captured the silver medal after falling 3-2 against Finland here tonight in the gold-medal game of the 2018 IIHF Under-18 Men’s World Championship at Traktor Ice Rink. Finland took a 2-0 lead in the first period on a pair of power play tallies. Patrick Giles (Chevy Chase, Md./USAH NTDP) cut the lead in half at 16:53 when his slap shot from the point beat Finland netminder Justus Annunen. 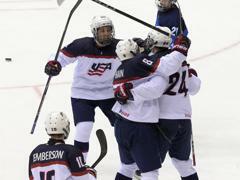 Tyler Weiss (Raleigh, N.C./USAH NTDP) and Ty Emberson (Eau Claire, Wis./USAH NTDP) picked up assists on the play. 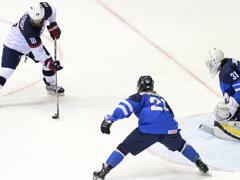 The U.S. started the second period on the power play after drawing a penalty with one second remaining in the opening frame, but was not able to convert. 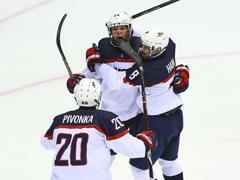 Trevor Janicke (Maple Grove, Minn./USAH NTDP) tied the game at the 8:24 mark by knocking home a rebound off a shot by Jake Pivonka (Naperville, Ill./USAH NTDP). Weiss also picked up his second assist of the night on the tally after feeding the puck to Pivonka in the slot. Finland scored what proved to be the game-winning goal while shorthanded at 10:41 of the third period to account for the 3-2 final. 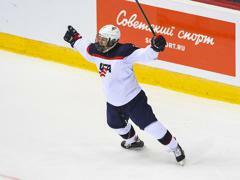 U.S. goaltender Spencer Knight (Darien, Conn./USAH NTDP) stopped 25-of-28 shots. 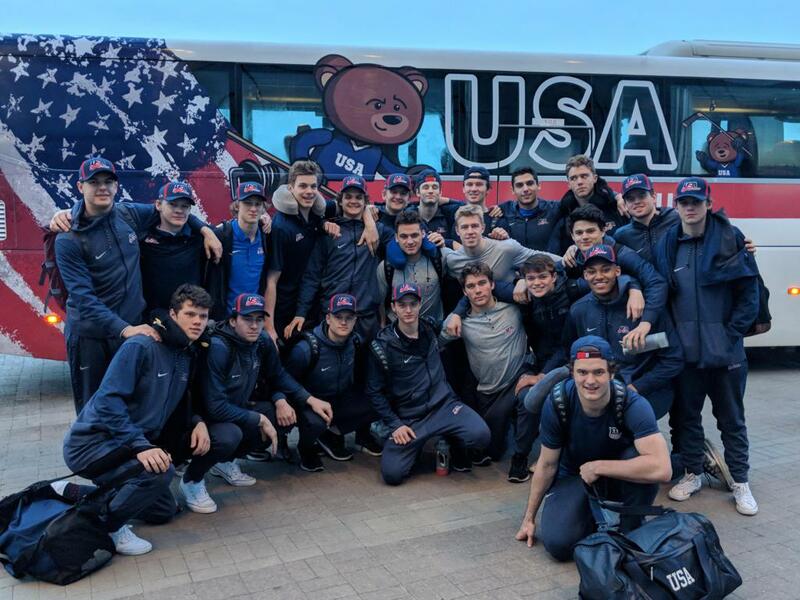 NOTES: Full recap, highlights, interviews and box score can be found here ... Jack Hughes (Orlando, Fla./USAH NTDP) earned the Directorate Award as the tournament’s top forward. He was also named to the Media All-Star Team and tournament MVP after leading the tournament in scoring with 12 points (5-7-12) … Hughes, Oliver Wahlstrom (Quincy, Mass./USAH NTDP) and Cam York (Anaheim Hills, Calif./USAH NTDP) were named to the Media All-Star Team … Weiss was named the U.S. Player of the Game. Others to earn Player of the Game honors this tournament include Hughes, Knight, Alex Turcotte (Island Lake, Ill./USAH NTDP) and Wahlstrom … The U.S. and Finland both had 28 shots on goal … Team USA is now 10-1-0-6 (W-OTW-OTL-L) against Finland all-time in the U18 Men’s World Championship … The U.S. is now 8-2-0-4 in gold-medal games.